Bite of Baltimore: Baltimore's Premier Food Tour! We provide the best food, and the best tour experience in Baltimore City! We strive to give visitors and locals a better option, and we provide a much larger meal and much more enticing history in our tours. Go on a 3.5-hour small group walking food tour of Fells Point, the Old Harbor of Baltimore. 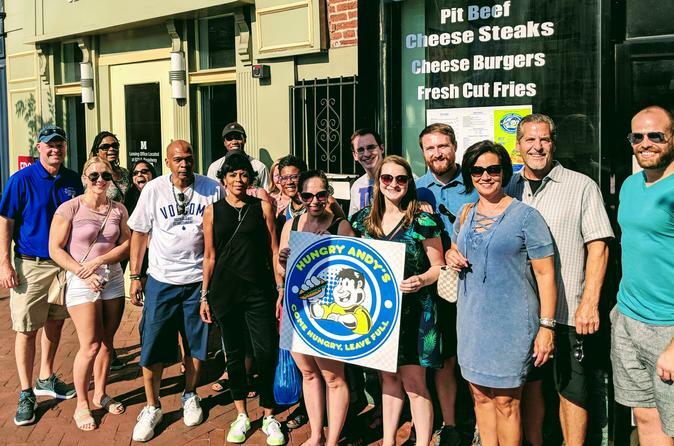 As you walk through the neighborhood with a local guide, you will enjoy food stops and discover the history and stories of the city through the lens of Fells Point. Each neighborhood has a different story to tell, and Fells Point has a history of its own. The food focuses on Baltimore's cuisine, curated by locals, and supplied by small businesses. This tour has a minimum of 4 travelers to book.